What did you think of Looking Into Space Part 1 ? 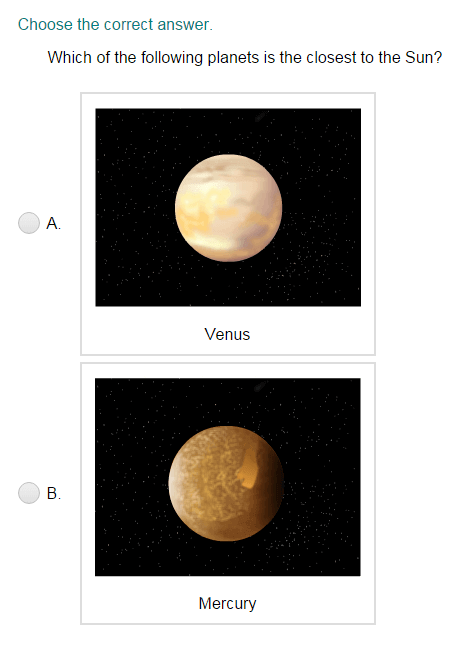 Play more Solar System quizzes! There are many things in space that we can’t see with our eyes. We have to use a telescope. A telescope takes in more light than our eyes. It makes things look bigger. Galileo used a telescope to study space. He saw four moons around Jupiter. He saw sunspots. He said that the Earth goes around the Sun. Astronauts train to go into space. They train underwater to feel what it will be like in space. Neil Armstrong was the first person to walk on the moon. Meteorologists study the atmosphere. They can tell us all about the weather.